Perfect for your wedding guests to enjoy. 25 Kraft Confetti Pops filled with your choice of natural petal confetti and comes complete with a Kraft display box with trays to hold your Confetti Pops in place. Each Kraft Confetti Pop is filled with a handful of confetti. All our petal confetti is natural, biodegradable, eco-friendly, top quality and 100% beautiful. 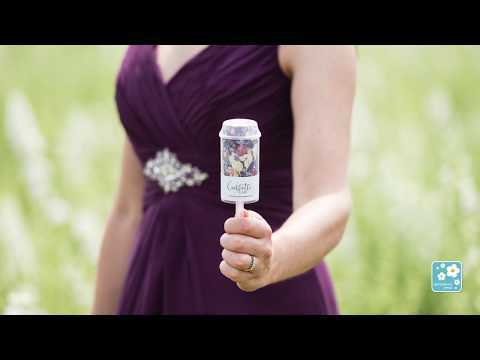 Please note there is no mechanism within our confetti pops, you simply pop open the lid, hold your confetti pop high in the air and flick out the gorgeous confetti out over the newly married couple. Approx measurements of each Confetti Pop are: 18cm (height) x 4.5cm (diameter).